Owning a piece of the past has universal appeal. 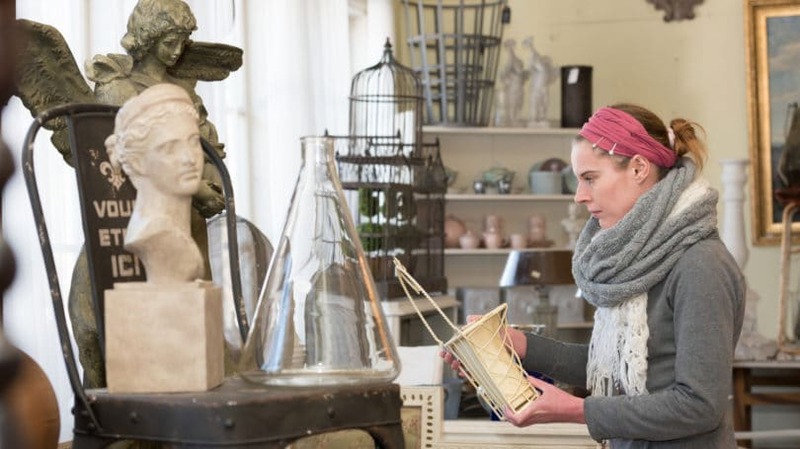 According to philosopher and antique dealer Leon Rosenstein, it’s the value, uniqueness, and beauty of older items that attracts us, along with their historical and cultural associations. For some, buying and selling tangible pieces of history is a business – for others, it is a calling. Mike Wolfe, one of the stars of the television show “American Pickers,” says that discovering and restoring old relics from the past to their former glory is akin to saving America’s history, one piece at a time. While lots of people are familiar with antique collecting, many are unaware of the growing market for other collectibles, from cars, to toys, to comic books, to folk art. According to the U.S. Economic Census of 2012, the industry accounts for more than $13 billion in revenues for almost 20,000 businesses, from one-man shops to giant online auction firms such as eBay and Heritage Auctions. Everyone, it seems, has a touch of nostalgia from time to time, a sentimental yearning to return to days of past happiness. Antiques and collectibles are tangible evidence of history, monuments of a slower, simpler age when the future was bright and obstacles seemed easy to overcome. Unlike most retail experiences, acquiring pieces of the past requires diligent searching followed by old-time price negotiation – “dickering” – between buyer and seller. Value is in the minds of the two parties, rather than any objective analysis, since many items are one-of-a kind. As a consequence, a successful acquisition requires a discerning eye and disciplined negotiations. For many, the opportunity to joust over price, pitting one’s wits against another’s, is as rewarding as acquiring the items themselves. A Copy of the Declaration of Independence. In 1989, a Philadelphia financial analyst bought an old painting of a country scene for $4 at a yard sale. While he considered the painting mediocre, he liked the picture frame. When trying to remove the picture from the frame, he found a folded document under the canvas. It turned out to be one of 23 known copies of the first printing of the Declaration of Independence in 1776. The analyst subsequently sold his find at an auction by Sotheby’s on June 14, 1991 for $2.42 million. A number of other copies worth millions of dollars have been found since. A Jackson Pollock Painting. In the 1990s, a retired truck driver purchased what she considered to be a funny piece of artwork for $5 from a California thrift shop. She had intended to use the picture for a dart board. An art teacher friend, seeing the painting, suggested that it might be valuable and should be appraised. While its authenticity as a Jackson Pollock has been questioned, the purchaser was offered $9 million for the painting. The Velvet Underground’s First Recording. In 2002, a record collector bought a 12-inch acetate record at a Manhattan flea market for $0.75. The record, believed to be a copy of The Velvet Underground’s first album, turned out to be a unique, in-studio acetate made during their first recording session. The record sold on eBay for $155,401 in 2006. An 1870s Baseball Card Collection. In late 2014, an elderly woman discovered her collection of Boston Red Stockings baseball cards was worth $1 million while visiting the television program “Antiques Roadshow.” The cards had been given to her great-great-grandmother who ran the boarding house where the team stayed between 1871 and 1872, and had been forgotten in an old desk drawer. Incidents of finding million-dollar treasures are rare. Nevertheless, the joy of searching and collecting is available to everyone. Items of all kinds can be collected, including first edition books, autographs, store signs, Kewpie dolls, firearms, automobiles and motorcycles, and clothing. Some people keep their purchases, while others buy items as investments to be sold to another buyer willing to pay a higher price. Whatever your motive, there’s no reason you can’t become a “picker” and experience the joys of an unexpected find. Antiques are generally considered to be objects more than 100 years old. Collectibles are less than a century old, but can be just as valuable. “Vintage” generally refers to objects that are 20 or more years old, while “retro” refers to anything that appears to be dated or out-of-style when compared to modern items. Regardless of age, the value of an item depends solely upon supply and demand. As a consequence, some rare antiques sell for less than a newer collectible because there is no demand for the former and high demand for the latter. Collectibles are generally emotional purchases that have more volatile values than antiques, which become better established through a longer history. 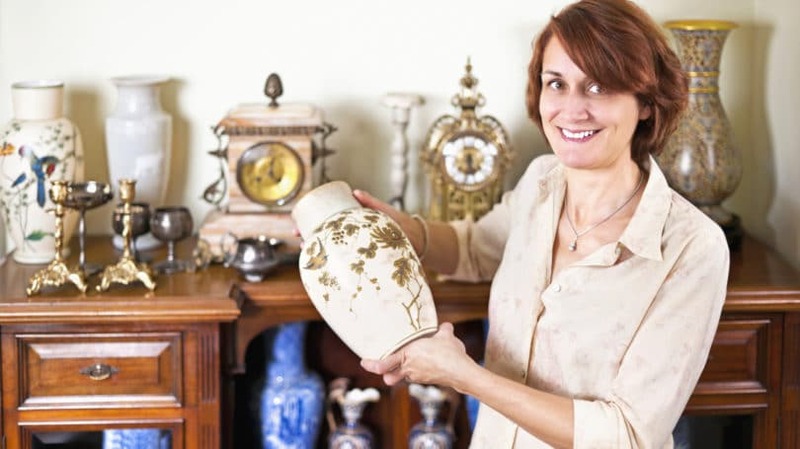 The markup on antiques and collectibles can be several hundred percent since the items are unique and buyers are frequently unaware of current values. In particular, prices in antique shops and from collectible dealers are high to accommodate a probable negotiation over final price. Buyers looking for specific items should do their research before purchasing to be sure they pay a fair price for the objects they want. Beauty and Durability. More than one-half of America lacked electricity until 1932, so most objects were handmade using natural materials. For example, furniture was made for a specific purpose – a crib for a baby, a kitchen table for a new family – by craftsmen who spent hours creating each piece. A vast amount of wood furniture was assembled with dovetail joints, which are nearly impossible to pull apart. Objects were made of real hardwood, not plywood with glued veneers. Cast iron was the metal of choice for many craftsmen, produced in sand-based molds and polished until its surfaces were smooth. To many, modern cast iron (manufactured since the 1950s) is simply not the same. Cast iron skillets are treasured objects passed from parent to child for generations. While glassware was produced in factories, it was hand-blown without the benefit of electricity. Hazardous materials such as cobalt – which is now banned – were used during manufacture and resulted in colors that still remain vibrant and cannot be worn away. Care in the Making. Most bedding materials, such as quilts and covers, were made by hand from scraps of old clothing and kept in families for generations. Each quilt, sometimes signed and dated, was a unique work of art. Pillowcases and linens were decorated through hours of crocheting, cross-stitching, and tatting, sometimes in candlelight, and often included tiny blood spots from pricked fingers. Clothes were made by hand for all but the wealthy, as few could afford store-bought garments. Toys were simple, constructed of wood, cloth, or metal, designed to last for years of play. History. America today is a throwaway economy. 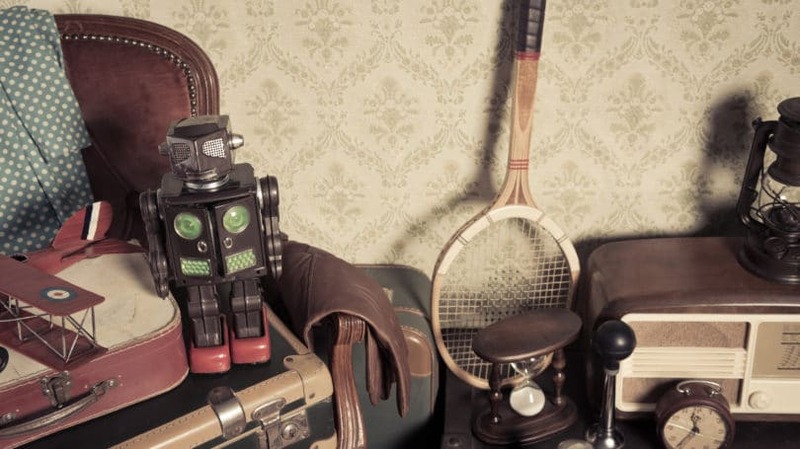 Items rarely wear out, but become obsolete due to new incarnations with more gadgets and features. Modern electronic equipment – televisions, radios, computers, and tablets – is mass-produced with limited warranties and nonexistent repair channels. Modern manufacturing is performed by robots and guided by complicated software programming in overseas factories. Antiques remind us of an era in which there was pride in craftsmanship, products were built to last, and owners could make many of their own repairs. They are relics of another time that has faded away, but remind us of the victories and the hardships of our heritage. Timelessness. Antiques never go out of style, and they add texture, energy, and personality to modern decor. While they can certainly break and may require special maintenance and cleaning, they are generally well-made. A chair that has lasted a century with reasonable care is likely to last another century. They are the ultimate “green” products, being recycled and reused by generation after generation. Finding that truly unique piece that’s 10 times more valuable than what you paid, or the treasure that becomes the centerpoint of your living room, is not just a matter of luck. It’s a matter of using the tested tips of experienced pickers. In some cases, your advantage might be speed – being first on the scene – while other times, knowledge allows you to recognize value that other shoppers miss. Experienced collectors recommend the following. Choose one or two categories that interest you, and learn everything you can about items within that category: the time period, manufacturers or makers, and current auction prices. Almost all sellers know the current auction price of their collectibles and use that information in negotiations. Rely on books, magazines, and the Internet to learn about the market, and talk to other collectors as well. Many people store and display their collections in their homes. Some people even use the items they purchase. Where you choose to store your collectibles should depend upon their value and the possibility of damage. For example, books, autographs, comic books, and historical items require special storage, while expensive items may require special security. Remember that any damage to an antique or collectible can severely affect its value. Some items should be stored “as is,” while others require occasional cleaning or repair. Coins should not be cleaned, as it can reduce their value. Other things, such as furniture or artwork, may require special cleaning and handling. Some items increase in value if restored, such as automobiles and motorcycles, while metal items can possibly benefit from a little rust and grime. There are some possessions that vary in price according to how an appraiser rates or grades them, such as comic books or coins. Be sure you know the grading authorities and how they affect an object’s value – the price you offer for a piece should consider the costs of cleaning, restoration, and grading, if needed. The antiques and collectibles market is filled with con artists, fakes, and reproductions. New digital printers can reproduce artwork that is indistinguishable from the real object by the naked, untrained eye. Wood and metal objects can be artificially distressed to give the appearance of age and use. Even genuine items can have almost invisible lines and dents that affect their value. Ask the seller about previous damage or restoration, and check its location on the piece yourself. When considering an object, pick it up and scan every dimension – top, bottom, sides, inside, and out – for names, identifying marks, and serial numbers. Be sure to ask the owner for permission before handling any piece though – in most cases, if you break it, you buy it. Provenance is proof of where a particular piece originated, and it can include purchase receipts, documents from auction houses, professional appraisals, photographs, and historical records. While acquiring it is not possible with some items, it is always a good idea to ask for the story behind a piece, as well as any evidence to confirm that the story is true. In the early days of picking, enthusiasm can override good sense. Many collectors, eager to build a stockpile, return home to find a purchased object is not as desirable as it appeared in the heat of the moment. You will make mistakes – everybody does when starting. Don’t be discouraged. If you learn from your mistakes, the collection’s value will eventually compensate for your errors. While most pickers are not as dedicated as the stars of “American Pickers,” you may have opportunities to search in unexpected places before the general public is solicited. The majority of items you will see are sold in “as is” condition, meaning they are likely to be dirty, greasy, or both. Old clothing can be musty and metal objects covered with rust. Remember that a diamond in the rough looks nothing like the diamond on a bride’s hand. Display your items for others to see and enjoy. As your collection grows, take pride in its uniqueness. If it is of local or historical interest, contact businesses, libraries, and museums about showing your collection – just be sure to take proper security measures. As a consequence, you should expect to meet fellow enthusiasts who can be sources of education – or even additions to your collection. While discovering an exceptional piece is always a thrill, there is still work to be done after you do. The next step is to buy the object at a price that fits your budget. Until the 1860s in America, prices for a product were determined by negotiations between buyer and seller. Called “dickering” or “haggling” in the United States, virtually everyone had some experience in the process. The fixed retail pricing system – the forerunner of modern product pricing systems – was initially introduced by John Wanamaker in his Philadelphia store in 1861. Wanamaker combined the first point-of-sale displays with a single stated price and a “satisfaction guarantee” to revolutionize retailing. The concept quickly spread to other retailers and is the dominant pricing system in the industrialized world today. As a consequence, many American buyers and sellers have lost the skill of bargaining. New automobiles represent one of the few markets in which dickering between buyer and seller are still present. In 2014, however, Sonic, the nation’s fourth largest car dealer with 105 stores, announced a no-haggling price policy to be put in place in 2015. General Motors Saturn Corp. operated for a decade with fixed prices, but is no longer in business. Television shows like the History Channel’s “American Pickers” and “Pawn Stars” illustrate the process of negotiation between buyer and seller. The techniques on display can be effective whether you buy an antique book, an appliance from Home Depot (which gives staffers some latitude to negotiate price), or a knickknack at a local garage sale. There are a number of sources – online and off – that provide negotiating tips and strategies. Their advice can be distilled into the following recommendations. Knowing as much as possible about the object you’re interested in purchasing is essential. Be sure that you understand its market and that the other party knows you’ve done your homework. Whether your counterpart is equally knowledgeable or not, expertise streamlines negotiations and helps avoid bluffs, misinformation, and intimidation. Preparation is critical in achieving your best price. The fact that you are bargaining is evidence that the other party wants to make a deal. Humans always prefer the pleasantness of agreement than the discord of conflict, so learn to disagree without being disagreeable. A smile is never inappropriate. Negotiations should never be personal, so don’t take anything in that light – people generally respond in kind. If you are rude, condescending, or abrupt, you become the focus of the discussion, generally to the detriment of accomplishing a transaction. Let the other side make the first offer, since it may be better than what you had in mind. If you make a counteroffer, let the other party respond before changing your price. Some professional negotiators suggest that before making a counteroffer, you should say something in the vein of, “That seems high to me. Is that your best price?” This encourages the other party to negotiate with themselves, potentially lowering the price before you even state a number. You can always make a counteroffer if the seller remains firm on the price. Many people are uncomfortable with silence and feel pressure to fill the empty space. However, according to Consumer Reports, Steven Cohen, president of Negotiation Skills, claims that the discomfort might result in a better price as the other side thinks, “Maybe what I said didn’t sound appealing,” and makes a new, more attractive offer. By carefully inspecting objects before you make an offer, you might identify imperfections, repairs, and other flaws that can result in a lower price. Sellers tend to price objects as if they were perfect, overlooking blemishes. Point out the costs of repairs that are needed and make an offer that reflects those repairs, whether or not you actually intend to make them. Watch an episode of “American Pickers” to see how Mike Wolfe uses deficiencies in his negotiations. When negotiations break down, change the playing field. Offer to buy – or sell – multiple quantities of the desired object or include other items in the price. Increasing the total value of the transaction encourages the other side to reach a deal. Car salespeople are particularly adept in bundling, providing free maintenance or low-cost financing as part of the transaction. Follow their example. Credit card transactions bring fees that reduce the total proceeds to sellers, and personal checks might take days to process. Cash eliminates fees and processing time and provides psychological and tactile benefits to the parties. When paying with cash, ask for a discount, even if price negotiations have been completed. Emphasize that, unlike other potential buyers, you are present, have funds, and want to make a deal. Point out that other buyers may or may not appear and are no more likely to pay a higher price than you. After all, a bird in the hand is worth two in the bush. It is easy to get wrapped up in the competition of negotiation so that the urge to win becomes the focus, rather than achieving a fair price. The auction process is popular with sellers for that reason. Bidders treat the process as a competition with other bidders, losing sight of underlying values. Experienced negotiators realize that they will not be successful every time. Sometimes, a meeting of the minds is not possible. When it is apparent that a transaction cannot be completed, don’t burn bridges. Consider that you have made a valuable contact with someone who may be a source of other acquisitions, or a connection to other buyers and sellers at a later point. Let the other party know that if conditions change, you may still be interested in the item. Continuing to be pleasant costs you nothing and it might pay off big in the future. Whether you are interested in a new career, a hobby, or just buying the occasional unique object, picking and dickering is an enjoyable avocation. You never know when you might find something that makes your heart race, whether to resell to others at a profit or display proudly in your home. Similarly, dickering can be both fun and save you good money. Remember that the more you practice, the better your results are sure to be. Do you collect vintage or antique pieces? What are your best finds?